Catka Wiyan (Left Hand Woman), age 74, of Poplar, MT. She was a full blood Upper-Cut Yanktonai Dakota, a direct descendant and granddaughter of Chief Medicine Bear. She was called home on Saturday, November 24, 2018. Catka Wiyan (Left Hand Woman) was born on March 21, 1944 in the family home in Ft. Kipp, MT. Daughter of the late Jerome, Sr and Nina (Goes in House) First. Karen attended school in Brockton, later earned her GED. She met Aaron J. Hamilton, Sr but later divorced. She lived in Chicago, IL and Oakland, CA briefly. She participated in the Relocation Program. After completing school in Chicago, IL she moved back to Ft. Peck Reservation in 1993. She was employed with the Tribal Courts, in which she stayed until her death. She started as a clerk, then Clerk of Records and Prosecutor Clerk upon her passing. In between on weekends she worked part-time as a Juvenile Officer, Jailer/Dispatcher and at A&S Industries. While working for the Courts, she met her life long partner Alfred “Togo” Lizotte in 1978 whom she later married in 2004. Throughout her life she liked to attend pow-wows. She loved to watch her children, grandchildren and great grandchildren dance. She could be seen at many pow-wows throughtout Native country. 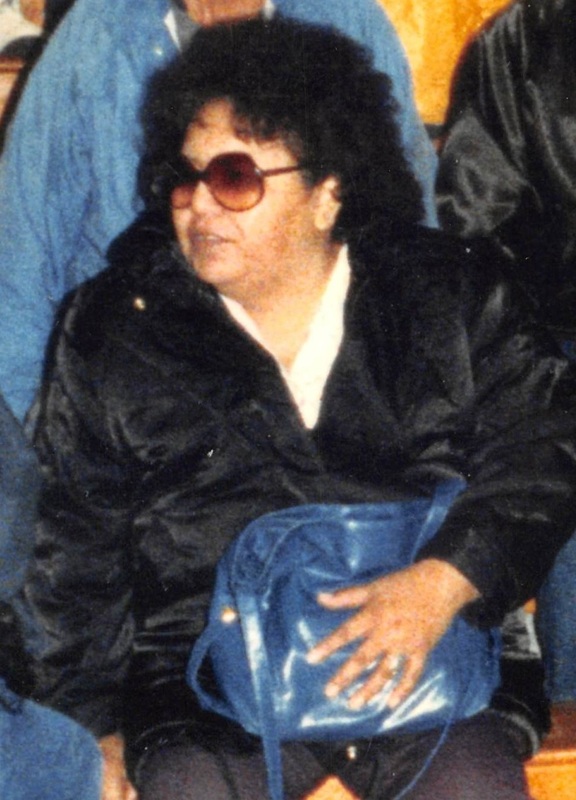 She was on the original Poplar Indian Day committee in 1993. She was on Iron Ring committee in 1989 to 1993 they then became Poplar Indian Days, and her family helped the pow-wow Poplar Indian Days in one way or the other to this day. The family held a contest in 2018 in honor or her during Poplar Indian Days, she was very happy with the honoring of her. She loved to bead, making beadwork for her children to great grandchildren, and also made beautiful ribbon skirts and dresses of every category. She made star quilt jackets and Pendleton jackets. She loved to watch her daughters Thomasine Hamilton and Deeanna First play basketball, then granddaughter Aarion Mazawasicuna play. Preceded in death by parents Jerome and Nina First; grandparents Edward Medicine Bear, Thomas Goes in House; brothers Reno, Frederick, Calvin, Robert, Calvin Robert First, Leland Spotted Bird; sisters Christine, Wilma First, Winifred GreyBull, Catherine, Carole, Viola, Melvine Spotted Bird; adopted daughter Francine LeMay; nephews Del and Wayne First, Harold GreyBull; great grandson Aaron Thomas First; husband Alfred “Togo” Lizotte, Sr.
Extended families Black Dog, White Eagle, Perry, Steele, BuckElk, FourBear, Johnson, Spotted Bird. Anyone who we may have forgotten please accept our apologies. Prayers and condolences to the family. Karen was a pleasure to work with. I am going to miss her. Condolences to Karens family. Continued prayers for you all. Condolences to First family, Karen will be missed..
My prayers and condolences to the family of Karen First she will be missed by all who knew her. Prayers an condolences to Karen’s family. I am sorry for your loss of Karen. She was always so friendly and I enjoyed working with her at the Tribal Courts. Rest in Paradise beautiful lady you will be missed…. My condolences to Karen’s family. I worked with her at Tribal Court and we always had some good laughs. I will miss you my friend. Prayers for the families of Karen. We love you and are thinking of you. My deepest condolences to all of the families, from the many miles here in Texas.